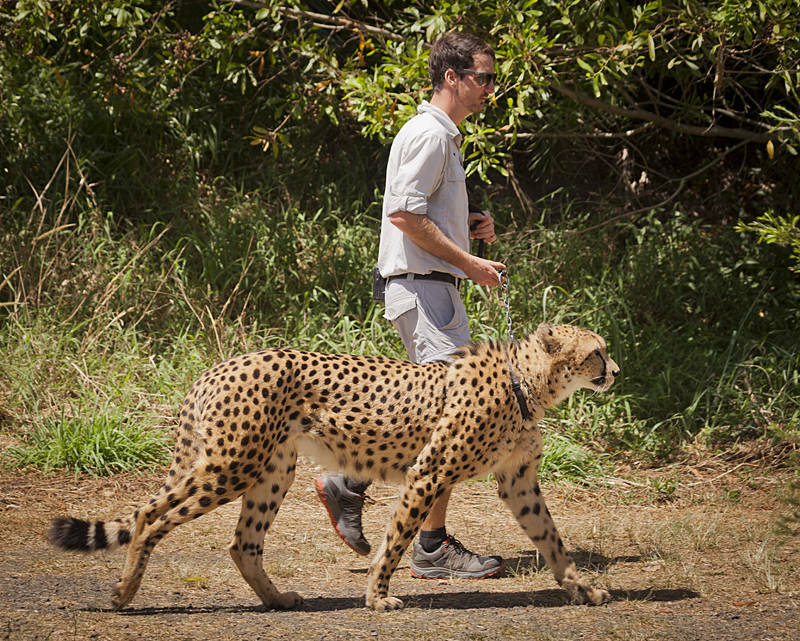 This is William, a 6-year-old cheetah being walked at Australia Zoo in Queensland. I was a little surprised to see it as cheetahs are not listed on the zoo map. They must be kept out of sight until it is time for their walk. Captive animals are controversial, however, when it comes to cheetahs, the species survival may now be dependent on captive breeding. This cheetah came to Australia from the Ann Van Dyk Cheetah Centre in South Africa which has bred over 800 cheetah cubs and was largely responsible for cheetahs being removed from endangered species list in South Africa. A study of wild cheetahs in the Serengeti found 60% of all cubs were taken by lions in their first 8 weeks.